Looking for things to do in Southern Illinois? Von Jakob Winery & Brewery has some of the best events on the Shawnee Wine Trail. Join us every weekend to listen to some of the best southern Illinois music in the area. With indoor and outdoor facilities we have the ability to host great live music throughout the year, rain or shine. We love to support our local southern Illinois musicians but also have acts come from all over the country. 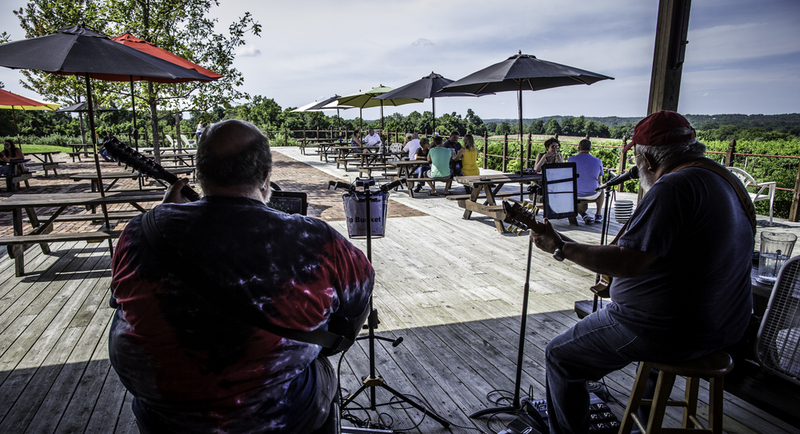 Live music performed at our southern Illinois winery and brewery location in Alto Pass. Never a cover charge unless noted on the event date. Use the arrows above to view future months events. We typically schedule events just a few weeks out, so if you don't seen any events check back again soon.